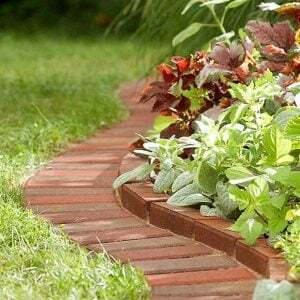 It’s never a bad idea to add a little DIY Christmas cheer to your yard! 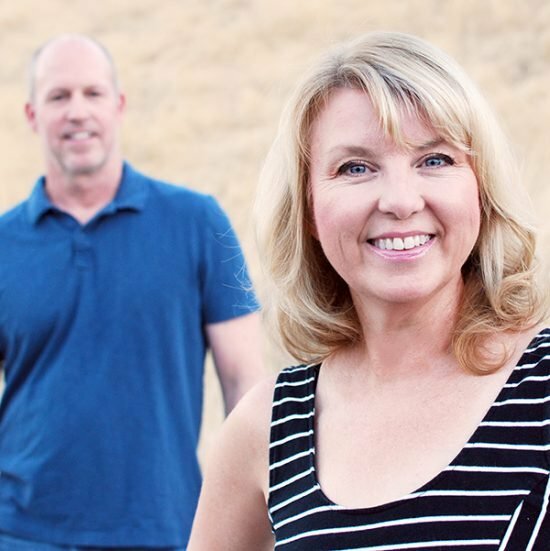 Let’s face it, we all love to wander our neighborhoods checking out our communities holiday decorations and lights, don’t we? So put a little effort into decorating outdoors for the holidays this year, and share that Christmas cheer with passerby and friends alike! 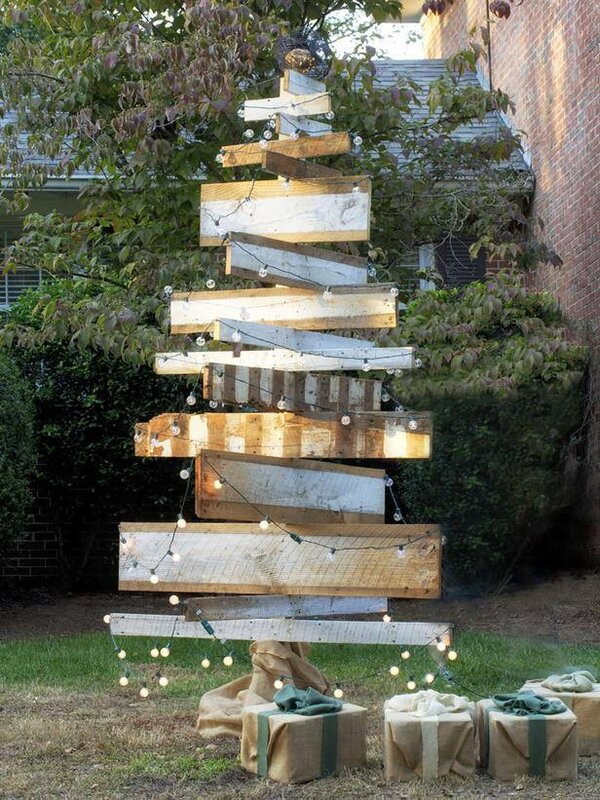 Here are TGG’s top picks for creative DIY outdoor Christmas decorating ideas! 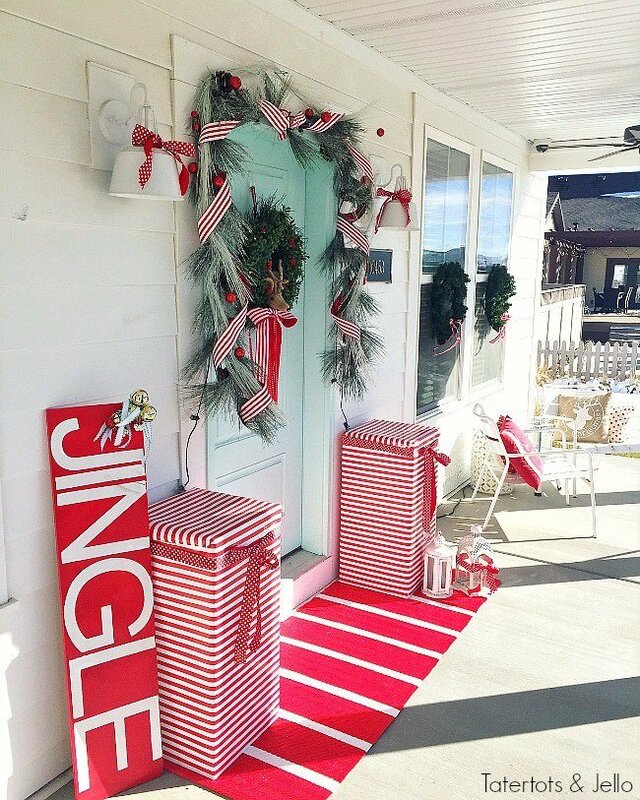 So let’s start out with these DIY outdoor Christmas decorating ideas from Jen at ‘Tater Tots & Jello‘! The best secret about this low cost Christmas porch is those North “Poles” on either side of the door. She simply wrapped her planters in gift wrap and ribbon! 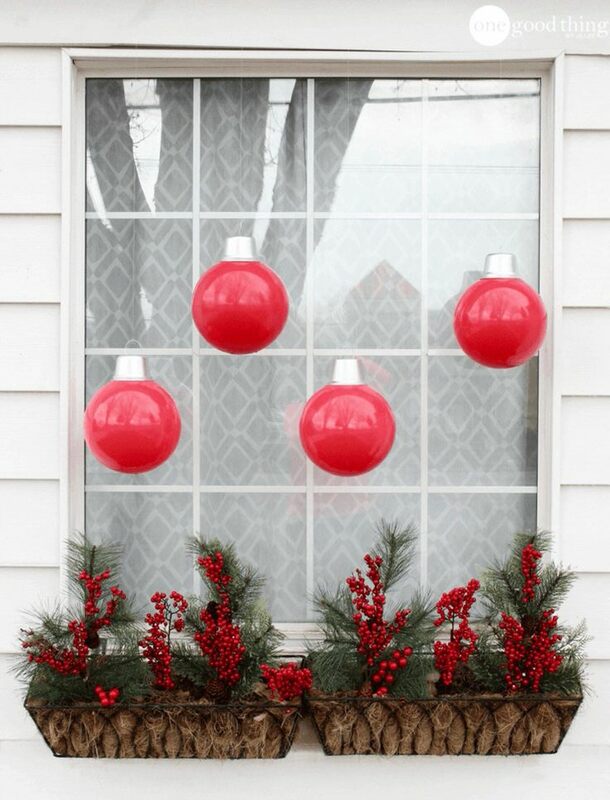 Try this simple outdoor Christmas decorating idea. 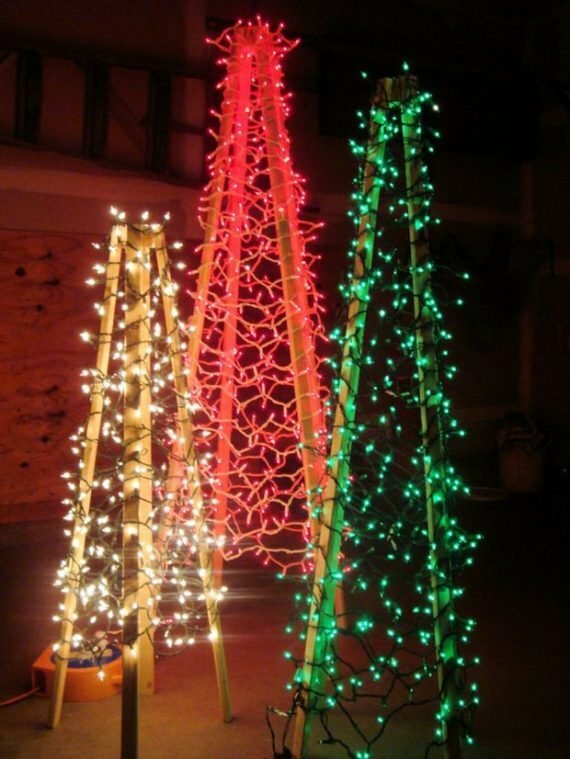 Wrap trees with alternating red & white Christmas lights so they look like a candy cane! Remember to only use outdoor rated lights for this, as well as for any extension cords. 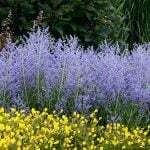 From ‘Yard Envy‘. 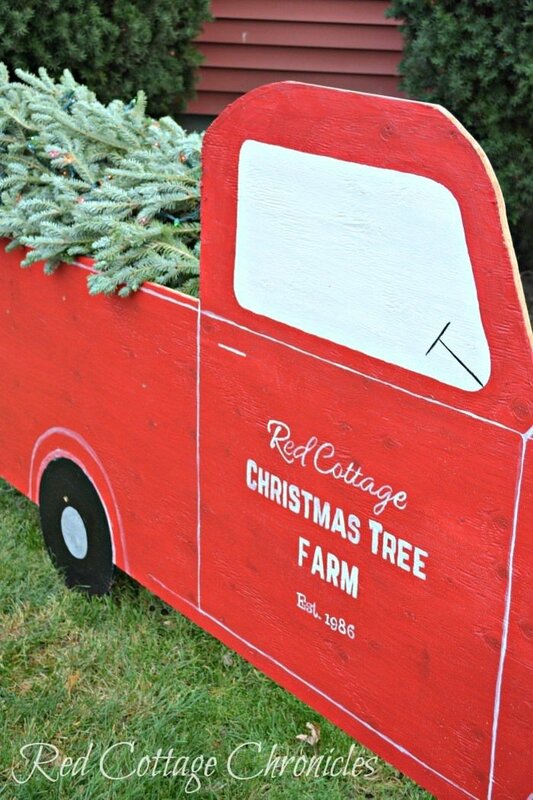 This next one is an outdoor Christmas decorating idea that makes you think of families piling in the truck to go cut down the Christmas tree. Remember when we all used to do that? One of the most charming Christmas decorations we’ve seen! 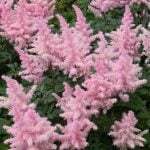 From ‘Red Cottage Chronicles‘. Go check out how you can make one too! Learn how to make cheap and easy DIY giant ornaments with this tutorial from ‘One Good Thing by Jillee‘. You will be shocked at what she uses to make this outdoor Christmas decor, and you can get the supplies at the dollar store or Walmart! Got kids? Of any age? 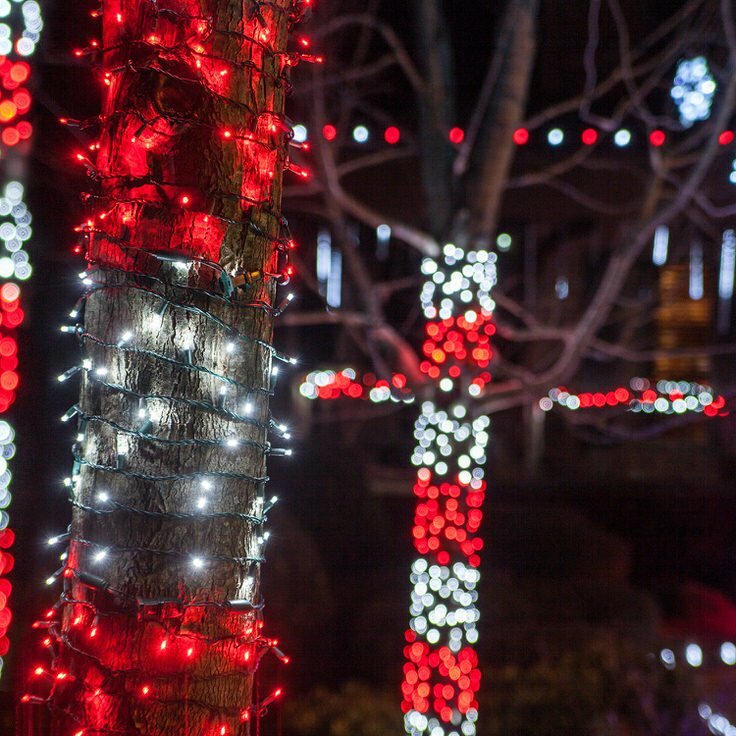 Everyone will love this outdoor Christmas decorating idea! 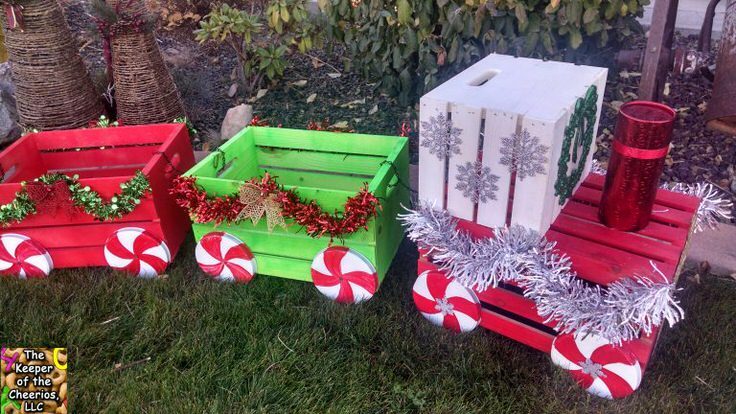 Make this Christmas crate train with this easy tutorial from ‘Keeper of the Cheerios‘. From ‘Christmas Lights Etc.‘ is a video tutorial for how to make those DIY Christmas light balls! You’ve seen them everywhere on Pinterest, now make your own! And they are easy. 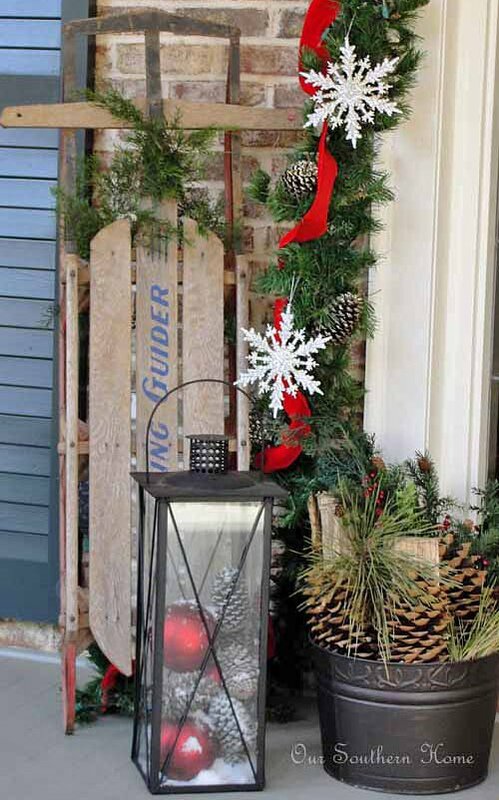 Check out these easy outdoor Christmas decorating ideas from Christy at Our Southern Home. I love this holiday porch! She filled a lantern with Christmas balls and pine cones instead of candles, and that amazingly cool sled? Actually from her childhood! 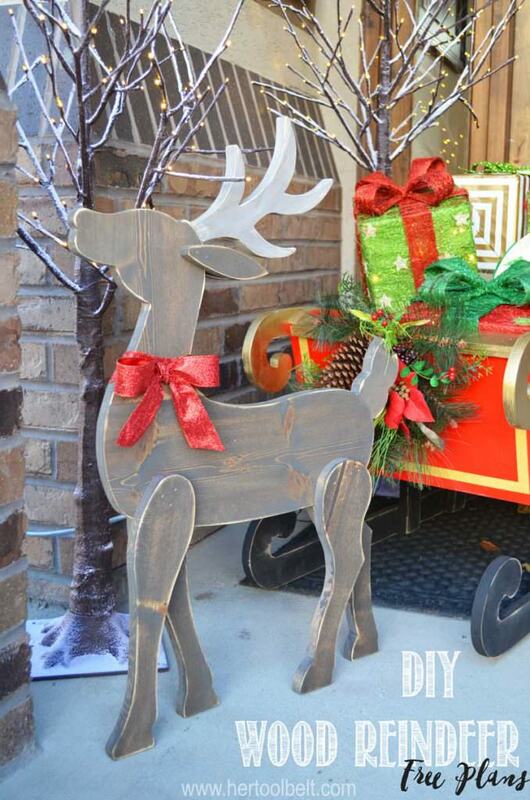 ‘Kristy’s Corner‘ created these DIY outdoor Christmas trees… This is just what I need to go with my deer and pond! That Village House created this topiary out of old boxes and wrapping paper… Great outdoor Christmas decorating idea, and so festive! 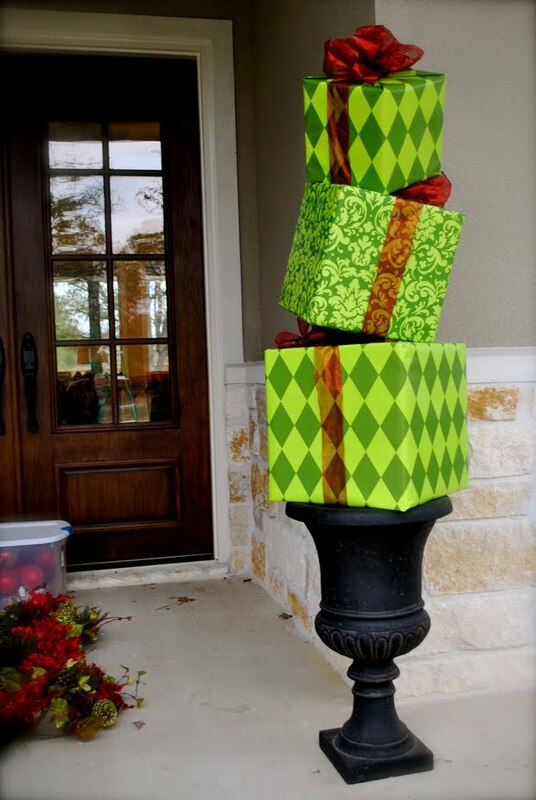 You could also use Christmas vinyl tablecloths from the dollar store to wrap the boxes for more protections…Find out how she made these Christmas topiaries! 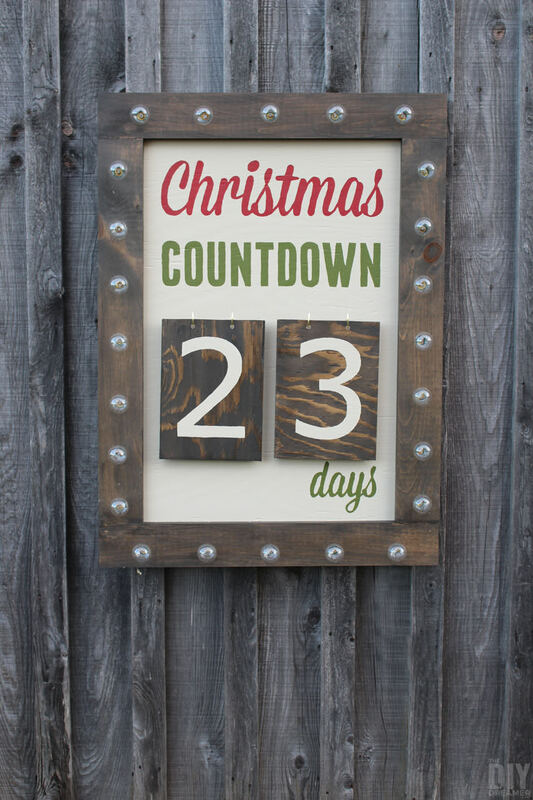 Find out how ‘The DIY Dreamer‘ created this outdoor christmas countdown sign, complete with lights! How much fun is this! Make this wood Christmas tree with these instructions… Easy, and practically free Christmas yard decoration, not to mention, it’s up-cycling! 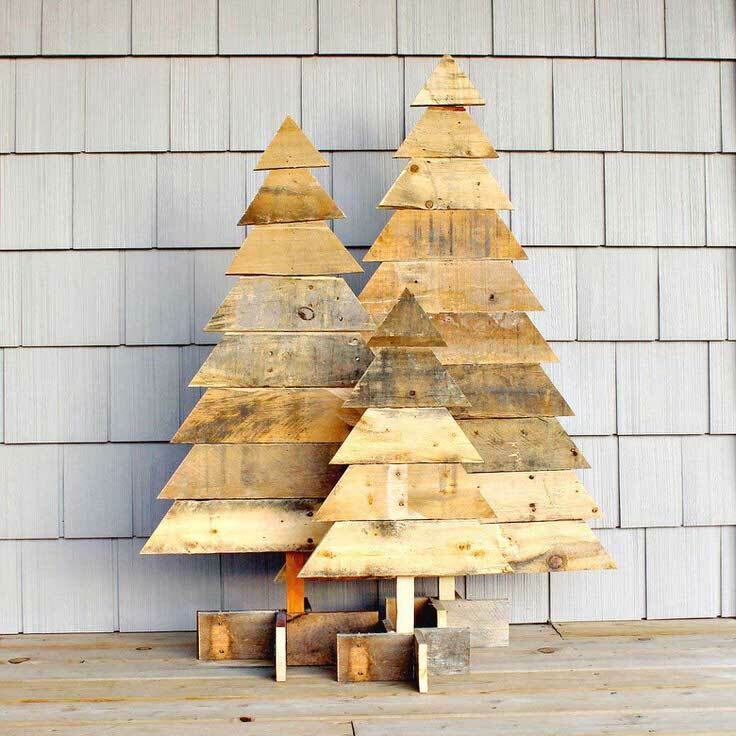 From HGTV, this pallet wood Christmas tree was created from reclaimed barn siding cut in different lengths and attached to a 10-foot 4 x 4 with wood screws. Then they added the little globe style mini lights. Love the burlap wrapped “presents”! Finally, if you still have lights to hang, our friends at DIY Network have a great tutorial that covers it all! 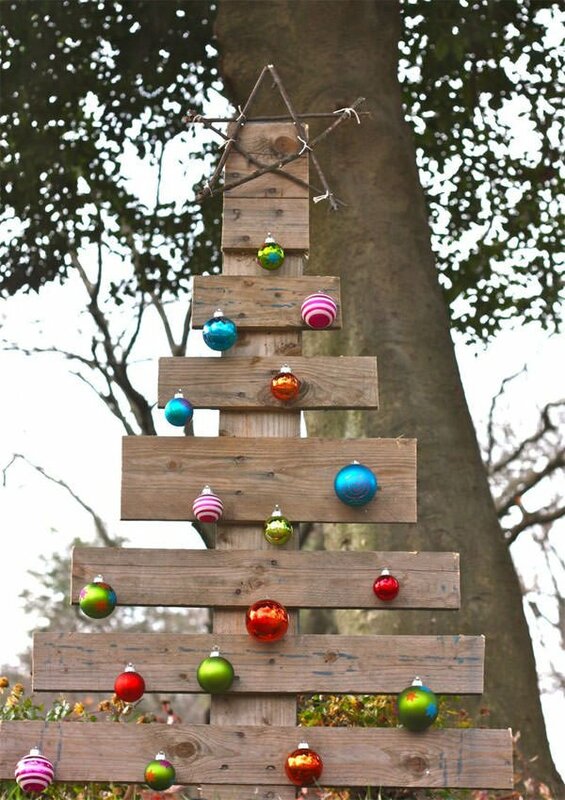 Looking for more DIY Outdoor Christmas Decorating? 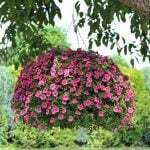 Check out this post on Creative Outdoor Christmas Lights or Outdoor Christmas Yard Decorations. Great low cost ways to decorate for the Holidays. I love the snowmen made from pumpkins! I never know what to do with pumpkins after Halloween is over! I also love the stack of presents it’s so fun and different. 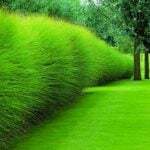 All of the ideas look like they would be easy to DIY.